Many apologies for being so slow in updating our blog. Time and lack of internet have been in the way!! from Houston, USA to spend a few days with us. The weather was great and allowed us to anchor off a beach outside Lagos to go swimming and generally relax. While in Lagos we enjoyed an evening of a Flamenco Festival that a local fan kindly let us purchase the tickets reserved in his name as it was sold out! He and his family enjoyed the festival other two nights. Juniper was anxious to go scuba diving and we found a group the next day. Glenda and Juniper left with the Scuba Diving group and Richard moved Elemiah to a more popular anchorage nearer the mouth of the river. 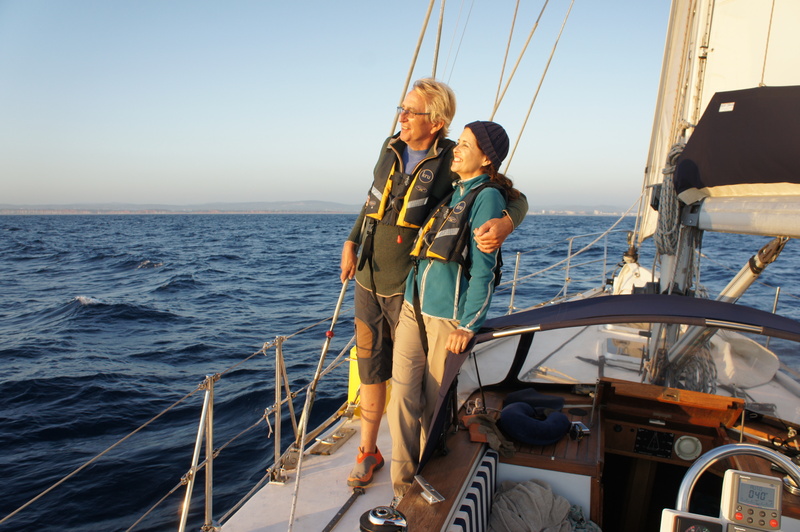 On motoring into the anchorage our good friends Jesper & Dorthe from Denmark were anchored there. We had not met since La Coruna. In the morning, anchored just outside the river entrance was the world’s largest sailing passenger ship http://www.windstarcruises.com/windsurf-yacht.aspx This is the same ship that Richard’s sister, Liz reported to have seen in Falmouth, UK. 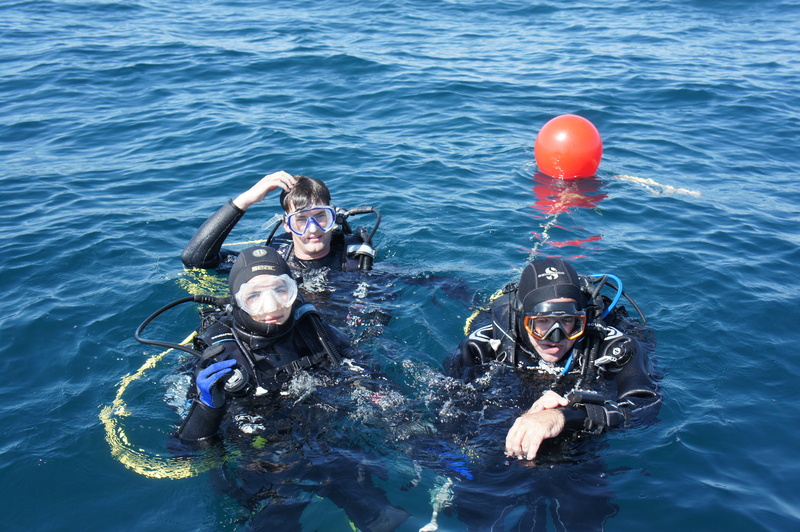 Today Juniper arranged to go scuba diving with a group who operate off a beach further down the coast. 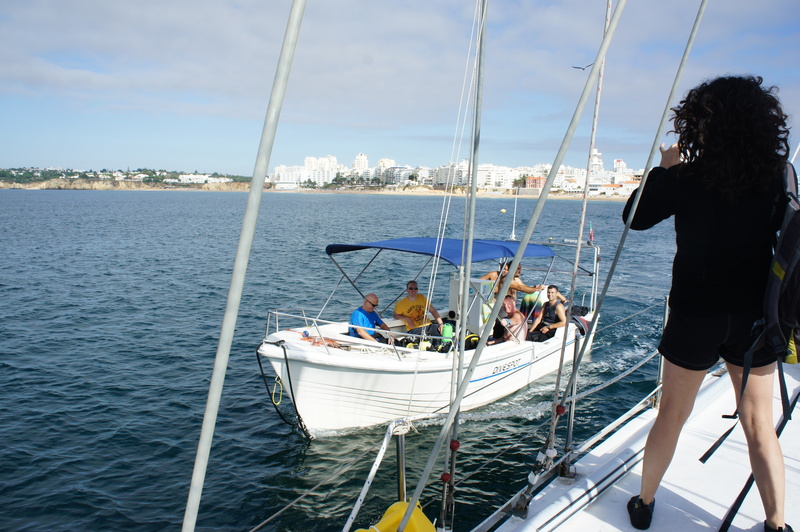 So early in the morning we anchored off the beach and Juniper became the first diver to join a diving group lead by Arturo Cardoso, http://www.exclusive-divers.net/algarve from a yacht. 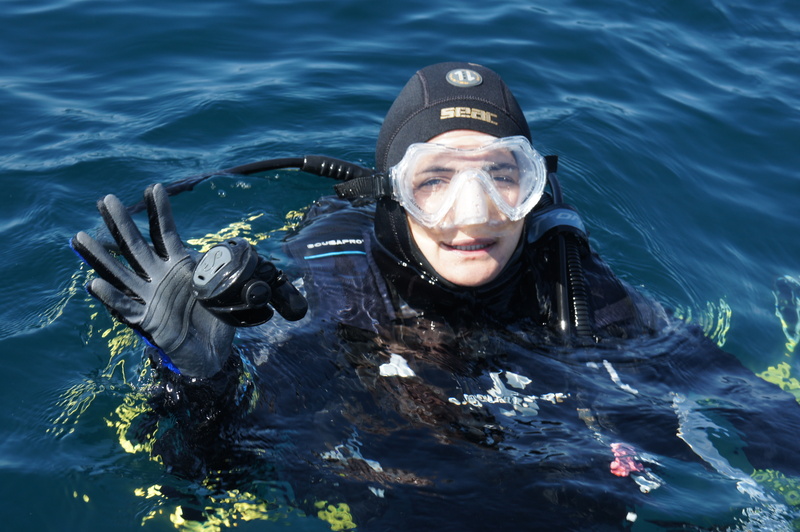 After the dive we up anchored and set off to find some dolphins for Juniper but sadly they did not pay us a visit! However the sail was great with awesome weather.and memorable photos. At the end of the day we arrived in a port called Vilamoura, Portugal. The reason for being here was to be close to Faro airport for Juniper to catch a plane back home. Let it be known that Vilamoura is a little like Blackpool, avoid if at all possible! The only thing that was really awesome was a beach morning in a fabulous sand! We bid farewell to Juniper whose visit was all too short! Next day we went on to Faro which is inside a tidal lagoon https://maps.google.es/maps?q=faro+portugal&oe=UTF-8&ie=UTF-8&ei=hB-mUpjqC6ad7gbTrIDIDw&ved=0CAoQ_AUoAg We made it as close as we could to Faro but owing to some very shallow waters it was still quite a dinghy ride to town. To enter Faro in our dinghy we had to wait for low tide to go under the lowest bridge under a train track! 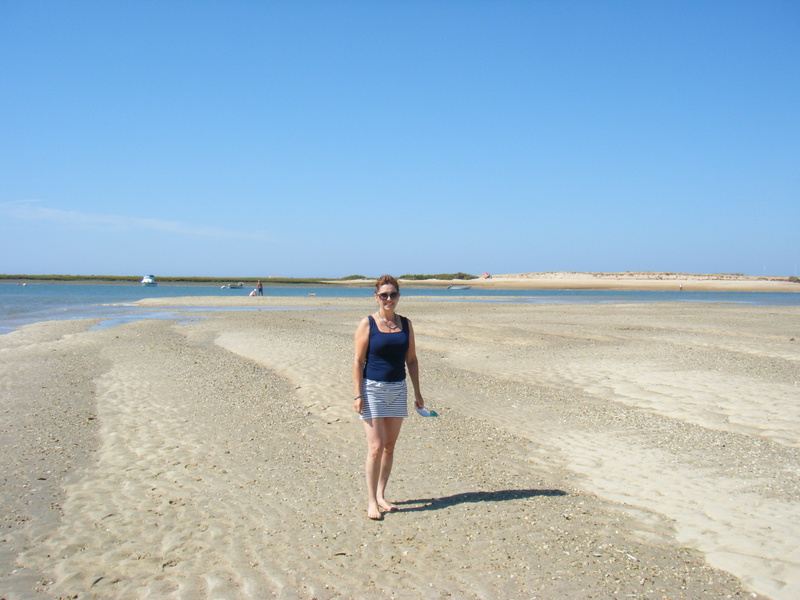 At low tide all you see is a bank then like going up in an elevator at high tide the ocean was there. Faro was very nice and very little tourism surprisingly. The last time Richard was here was in early 1970’s and little changed since then. After two or three days anchored off Faro we moved to an anchorage off the Llha (island) Da Culatra which was very pleasant. 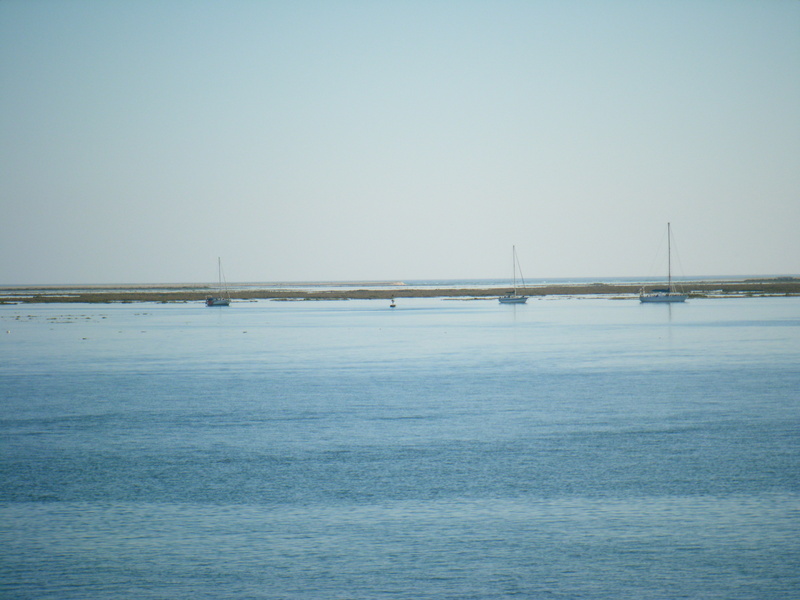 In our opinion, the most recommended anchorage in all of Algarve! During our stay Richard did his routine check on Elemiah and found that the fuel injector was leaking quite badly. As Elemiah is well equipped with spares we had a spare reconditioned injector aboard. However, we needed to be in a marina whilst Richard replaced the unit. The closest marina in the lagoon in a town called Olhao. 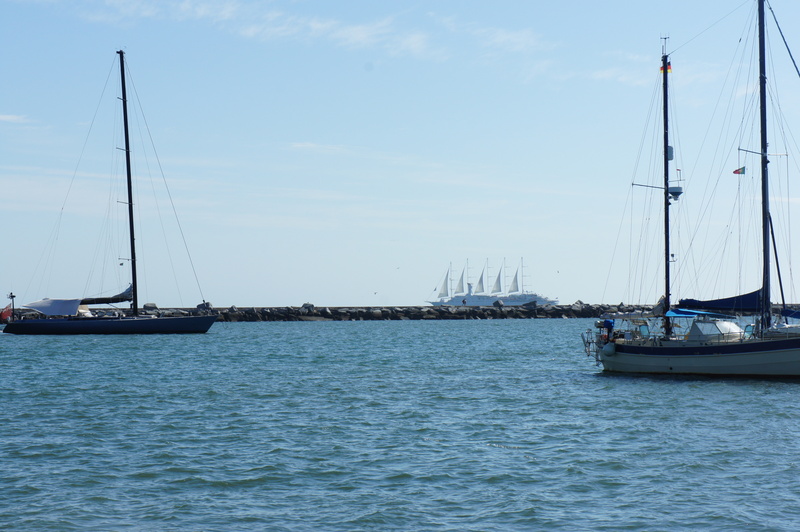 We motored about 45 minutes to Olhao and to our amazement were waved away from berthing. We even explained our situation and made it sound much worse but still were given the Portuguese gesture to get lost!! 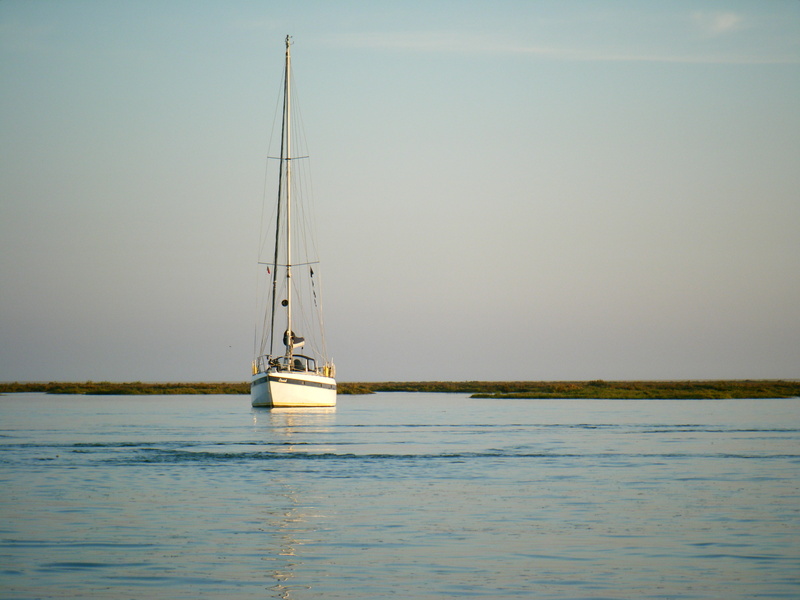 We then went back to our anchorage coughing diesel from the bilge into the beautiful ocean. Next instalment to follow shortly. Nick Hod on Now for the big catch up!